It was quite a bold step for ACMI to develop a Digital Storytelling program, because museums and cultural institutions very rarely, if ever, facilitate the production, as well as exhibition and collection, of “non-professional” media. The rationale for us pursuing the program has a lot to do with timing. ACMI was evolving at a time when technological advances in digital media were really starting to impact on the way people were communicating and consuming media; we wanted to recognise this shift by creating programs that would very directly engage the public as co-creators of moving image content. In many ways digital storytelling was our first foray into developing a significant co-creative content partnership with communities. Increasingly, within our broader program, we encourage our audiences to engage and create along with us in varied ways. What’s my role? In the late ‘90s I meet up with Joe Lambert from the Center for Digital Storytelling in Berkeley (USA), when ACMI was still under construction. Joe and his colleagues at the Center had taken advantage of the availability of media production tools on home computers since the early ‘90s to assist people in making and sharing short, meaningful first-person stories, in ways that enabled learning and that helped build community. The program resonated with what we were already developing at ACMI, so in collaboration with Berkeley we developed our own program. In so doing, we became the first cultural institution to develop a major digital storytelling program. My role has been to strategically lead the program for ACMI. A great deal of our early work was in educating people about this form, and selling the idea of a three-day workshop for members of the community, assisted by ACMI, to help them craft a first-person, short-format, audiovisual story. Most importantly, this co-creative practice has helped ACMI forge new and deeper relationships with very diverse communities, many of whom would not be considered the usual demographic of a screen-cultural organisation. I should add that Digital Storytelling is an entirely collaborative process at ACMI. Our role in this collaboration is to provide the environment and the tools for communities to create the stories that are meaningful. With the individual’s permission, we share these stories they created. We adopt some variation on production models, but the emphasis is always on providing access to the technology, and ensuring that the storyteller is in control of the content. This form of media creation has worked well for many communities, and particularly Indigenous communities. At the Koorie Heritage Trust, we’ve become more and more involved in digital storytelling, because we see it as an accessible way of community being able to tell their stories. One of the first projects that the Trust did with ACMI was a project called First Hands. We had a group of young people from all over the State of Victoria, along with kids from here in Melbourne involved. Over a period of several months we brought them into the Trust to talk to them about a range of things. We had elders come in and interact with them, and we focused on filmmaking and how you go about it. We were working with Open Channel (community access television) as well, and they did some of the editing on the kids’ films. It was a process of young people being able to really engage with elders in their communities and tell their stories. For some, it is that incredible, personal thing, and what can come from that type of sharing. One of the stories was an elder talking about a mission, and actually walking the young kids through the old mission and telling them all about it. There is no better way to bring history and culture alive than when you are there in amongst it, capturing the story in that way. The films were no longer than five minutes, but after watching them you’re certainly left with a feeling that they’re a lot longer. There is somehow a great level of depth that comes through in the work. The films are shown to the community. On that project, we had a big screening in one of the ACMI cinemas. For the young people, this was again about creating a bit of excitement for them. It great to do these projects, but it’s also great to have them out there in the public and allow the people to see them. We then had an exhibition that followed at the Trust – the films were screened in one of our exhibition spaces non-stop for about three months. This was a great opportunity for people to go into the space and watch the films in their own time. Then we started to think about how to get these filmmaking skills out into the community; because it is OK to have a few staff in our office that can do all this sort of work, or for us to draw upon the skills of people like those who work at ACMI – but we need to get them out there to the kids. And just when we were thinking about this, a great opportunity came up, through an initiative then known as Victorian Cultural Network (now known as Culture Victoria). The Victorian State Government brought together many of the cultural organisations here in Victoria, all the big institutions, places like ACMI, the State Library, the National Gallery, the Melbourne Museum, a whole range of them. As part of that project. ACMI was funded to do training within our communities on how to do Digital Storytelling. We were fortunate enough to be picked as one of the partners; we brought a group in to ACMI to do the training. They produced a whole series of digital stories themselves, so in doing this process of telling their story they were also learning about how to produce an end product, a film. But again, the big thing for me is seeing how community come in to see these exhibitions themselves. It creates pride amongst them, seeing their community people up there as part of the exhibition. It’s their stories that they’re hearing; it’s something that they can really relate to, and you can’t beat that for building that sense of pride inside of people. So, for me, seeing this kind of process evolve is why we continue to do Digital Storytelling. As Jason says, the partnerships ACMI form with organisations such as The Koorie Heritage Trust are such a key part of our co-creative practice. We don’t always operate at the grass roots level in communities. We might have very skilled staff that can very sensitively facilitate and empower the storytelling process, but we don’t have the direct links into the communities. So we like to set up projects and partnerships with organisations that are connected to the communities they represent, and can ensure they have consulted with their community and ascertained their interest in this form and working process. The partnerships we have set up with Koorie Heritage Trust and SistaGirl Productions are, for us, examples of these important ongoing partnerships that make this program work as well as it does. So the role of the partners is to select the storytellers and be the liaison with the community. The approach we take with each partnership is different, based on the needs for the partnership. As Jason has mentioned, Koorie Heritage Trust has been working on media projects for a long time; ACMI has also been working with the Trust for a while – one of our first collaborative projects was to train staff at the Trust in the digital storytelling methodology. With SistaGirl Productions, we have supported Kimba’s media projects by bringing the equipment and staff along into the communities Kimba is working with to help the creation of digital stories in community projects such as the Pitcha This: Contemporary Indigenous Imagery (2007). In the case of supporting Indigenous content through this methodology, it makes sense for us not to take the kind of lead we do with many of our other projects, but offer more of a support role as our part in the collaboration. There’s actually quite a lot to say about the workshop process and it is, I think, the particular strength of this program. People make an incredible commitment to this process, both in terms of their time and also emotionally. I’ve worked on these projects and I’ve watched how the storytellers have struggled beyond just navigating the technology. It’s not a simple process to tell a personal narrative; so, when we have media makers come and train with us to help deliver this program, they are always asked to produce a digital story as part of the training, as a way to understand how confrontational it can be to produce this style of content. Yet, at the same time, it’s the nature of the content that makes the process so worthwhile. I’ve been working with the Digital Storytelling method now for quite a while. I started with a project for Regional Arts Victoria in 2003, and then I got involved with the ACMI projects around 2006. For me, the most important thing about Digital Storytelling is working in community. It’s the “backstory” of how we actually produce these stories – going to the places where these stories come from and making the films entirely in these places – that matters most. I can tell you a little story from a workshop in Heywood, the backstory to Grace Sailor’s Early Memories (Grace Sailor). When Grace came in to the workshop she told me she wasn’t sure what she was coming in for. She said she just got picked up by the mob [other community members] and she’d travelled forty minutes into the Heywood Aboriginal Co-op. She said, “I didn’t prepare anything”. She’d walked in with a plastic garbage bag. I just said, “That’s alright, Aunt”. She had two photos in that bag, as well as some basket weaving, coils at different stages of being completed. She said to me, “I’m not sure what story I’ve got to tell”. I said, “You don’t have to have a story”, and then I said, “Let’s just sit down and have a yarn about it”. Anyway, she pulled out the two photos and started to tell me that she was taken away as a child and brought up in the Ballarat orphanage. But while she was telling me about that, she was holding onto the basket coils and telling me about how she met Aunty Connie who taught her to weave. So I was thinking, “OK, there’s two stories here she wants to tell. How are we going to marry them?” She wanted to tell her story of being taken away, but she didn’t want it to be a sad story. She wanted to celebrate her relationship with Aunty Connie, too. And then there was the problem of how we were going to tell these two stories with just two pictures, because rule of thumb is you need quite a few images to tell a three-minute story! So, in the process there was an Uncle that had walked into the workshop with three photo albums. He was sitting up the back, and when we started the yarning and talking about stories we might tell, this Uncle was popping up saying, “I got a photo for that story”, and “I got a photo for this one”, and so on. One other Uncle was telling us a story about how he used to catch this bus down from Portland to Heywood, and the old Uncle goes, “Here – I got a photo of you in front of that bus”. And while this was going on, Aunt says to me, “Maybe I could do the weaving, but I need special reeds. Aunty Connie wouldn’t let me weave with, you know, just any kind of grasses”. It was pouring down rain, but we jumped in the car to go looking for the special reeds that she needed, and Uncle (with the photo album) jumped in the car with us. I had the video camera because I thought I’d take some video footage. But then I just turned it off and sat quietly in the car with them. We went a long way out in the bush, going from one little waterhole to another with Aunt going, “No, they’re not the right reeds. No, not those ones”. So we’re driving, driving, driving and then we stopped, and I was just sitting there, silent, and Uncle said to Aunt: “By the way, Gracie, I’ve got a photo for you here, and it’s a photo of your Mum”. And everything was quiet and then, next minute, Aunt goes, “Right, just over there, those reeds”. Soon I was in the water. I had a camera on my back and I was thinking, “Alright, I’ll just go and get the reeds, chop them from the bottom”. And then there was this beautiful moment that came over me of seeing just what had happened, and how in the process of these workshops so many people get connected. I saw how it was really the yarning that brings this out. People talking and sharing story. Later, Aunt asked the uncle with the photo albums, “So, did you know my Dad?” And he goes, “Yeah, he was a good man”. Then Aunty says, “Alright, I am just going to tell my story”. There were (as I said) only two photos. We just didn’t know how to get around it, until I just stood there with a little Handycam and said, “Go on then, Aunt, you just yarn to me and weave away”. So pretty much those were the shots we ended up using: a close-up on her hands weaving, her face, and the coil itself. But it gave us a way to tell both of her stories: the first story she was narrating was about her culture being taken away, and her second story – these images – was about rediscovering her culture with Aunty Connie through the basket weaving, and that’s a story that she really wanted to tell … So, what I’m saying is that behind every one of these individual stories is another story about how the film was made, and that’s a story about being in the community. I think it’s really important to explain that Digital Stories purposely don’t have high production values; they are produced on accessible low-end technologies and often the raw material, such as the personal photos incorporated as visuals in many stories, can often be in a terrible state. But, as Kimba says, the purpose of the program is about empowering people with the knowledge about the technology, and to assist them to tell moving-image stories that are meaningful to them – like Aunty Grace’s story, which is such a fantastic little film. Interestingly, many audiences respond strongly to the content, and I think this is because there’s an incredible integrity and intimacy in these personal narratives. I think this compensates for what might be missing in production sophistication. Increasingly the public is more comfortable with the user generated low-end aesthetic. Underlying rights were also an issue. Most of the images are, as Kimba was explaining earlier, drawn from the storyteller’s personal archive, or through utilising ACMI’s significant stock library. Certainly now the approach to sharing content and the re-purposing of images is becoming much simpler through creative commons but, at the time we started the program, we solved this issue through the stock library. Music was also a problem; even though there are great software programs that help people compose their own music, we wanted to ensure we gave storytellers access to a music library, given the limitation of time in the workshop. To do this we worked with The Australasian Performing Rights Association (APRA) and The Australasian Mechanical Copyright Owners Society (AMCOS) to negotiate a reasonable a blanket license fee that would allow all parties to exhibit the content. The APRA and AMCOS commercial licensing arrangements are traditionally based on carving out broadcast timeslots and theatrical screenings. But we needed to negotiate a blanket licence arrangement that was not going to be prohibitive, and recognised that it was user-generated or community media, and that we wished to screen the content in non-theatrical exhibition screening environment, including online screening. It was also crucial for us to manage the classification for these titles for exhibition. It would have been unrealistic and financially prohibitive to submit each digital story for classification, so we have applied for self-classification status, similar to a broadcaster, so this content can be screened appropriately. As a cultural institution, we have had to ensure we have managed all licensing, cultural and rights management to exhibit and collect these works, which has been in some ways out of step with the way this type of content is exhibited via channels such as YouTube. Regardless of other organisations and individuals having a bit more freedom to take up the opportunities of these new distribution channels, ACMI has had to ensure we are compliant – and this becomes more complex as we get into online delivery of content. Even more so now that the tools available with Web 2.0 and 3.0 have provided a functionality and expectation that content delivered online can be either re-purposed or very actively engaged with. In a way, online distribution can be seen as a continuation of this co-creative process – so the issues with online distribution are becoming far are more complex. As an organisation, Koorie Heritage Trust is concerned with the inter-generational passing on of culture, and digital storytelling does offer one mechanism by which people can do that. So, that is the kind of interest we have in all this. The challenge with our young people, I think, is to find something that they are really interested in – because if you just go in with an old view of culture and just present it in that way, they often find it difficult to connect. You’ve got to consider the world in which they live, the things that compete for their interest. You’ve got to think about heritage in that kind of framework. Digital Storytelling and filmmaking are perfect for working through some of these big issues. 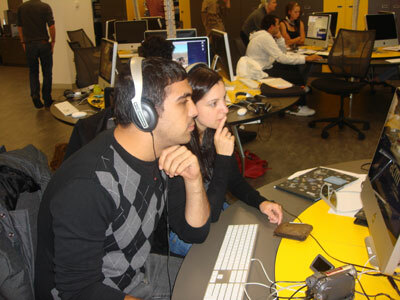 For more information on the foundations of Digital Storytelling as a grassroots movement, see http://www.storycenter.org/history.html. Also see P. R. Lowenthal, “Digital Storytelling – An emerging Institutional Technology?”, in J. Hartley and K. McWilliams (Eds. ), Story Circle: Digital Storytelling Around the World ((Oxford: Wiley-Blackwell, 2009), pp. 252-9. In Victorian Indigenous communities (and elsewhere in Australia), the terms Aunt and Uncle are used to denote community elders rather than a blood relation (although the latter may also be the case). Jason Eades is CEO, Koorie Heritage Trust. He is a Gunnai man from Orbost, South Eastern Victoria. Jason’s professional career started in a managerial role at his local Aboriginal Cooperative. From this experience he progressed into a number of senior management positions including CEO of Ramahyuck district Aboriginal Corporation, Executive Manager at Mirimbiak Nations Aboriginal Corporation – the Victorian Native Title Representative Body, Senior Policy Officer at Aboriginal Affairs Victoria before becoming the Chief Executive Officer of the Koorie Heritage Trust in January 2004. Helen Simondson currently holds the position as the Manager of Screen Events at the Australian Centre for Moving Image (ACMI). As part of this position Helen has been responsible for initiating and developing the award winning digital storytelling program at ACMI. Helen is also responsible for many of the public event offers at ACMI and was responsible for overseeing the Indigenous content in the Screen Worlds exhibition at ACMI which opened in 2009. Helen has also worked as an arts practitioner for many years with undergraduate qualifications in Drama and Dance from Deakin University, Rusden and Post-Graduate qualifications in Film and TV from the Victorian College of the Arts.